How do we green Athens? 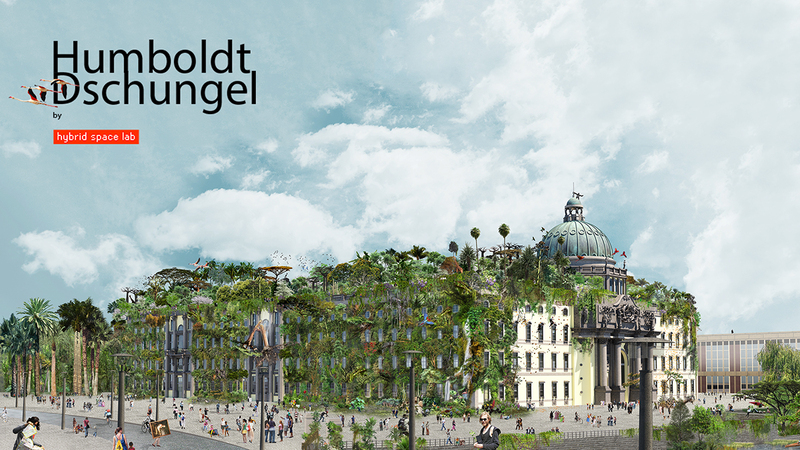 Today, the Berlin Humboldt Forum that has his name is without any green space whatsoever. Named after the Humboldt brothers it will become a world center for culture and is housed in the reconstruction of a historical palace. We designed a hanging garden with lianas overgrowing the Prussian palace and a tropical forest for its roof. By means of a ‘Jungle’ covering the palace and opening it up for the Dialogue of Cultures – in reverence to the naturalist and discoverer Alexander von Humboldt.